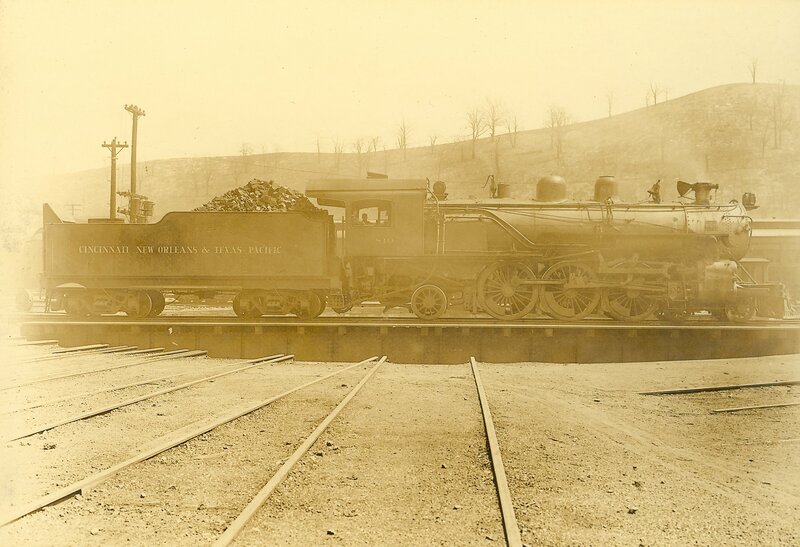 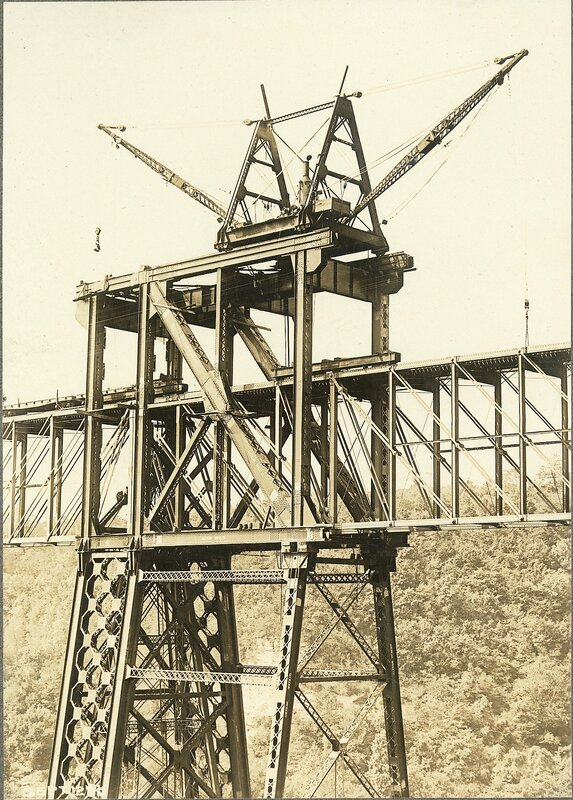 The Louis Edward Nollau High Bridge Collection (dated 1910-1912, 1948-1950s; 1 cubic foot; 72 items) depicts the rebuilding of the High Bridge railroad bridge around 1910 to 1911. 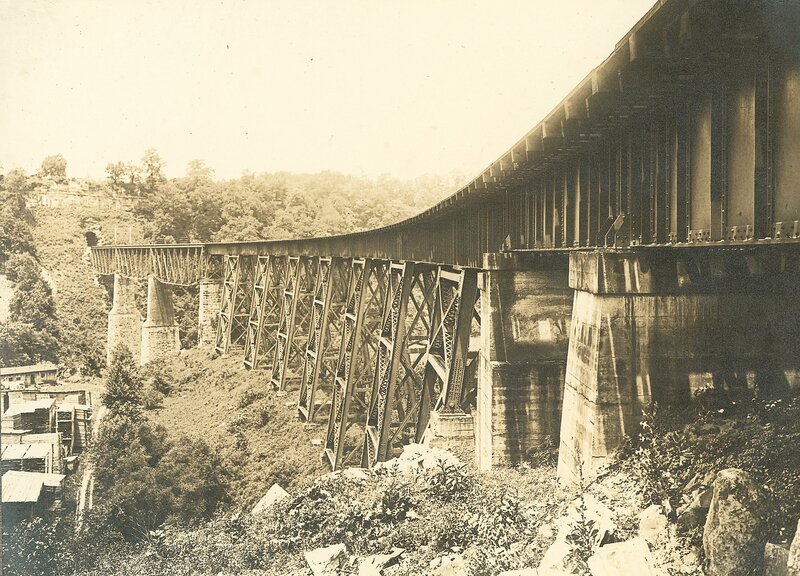 Collection is arranged into two series: High Bridge and Miscellaneous. 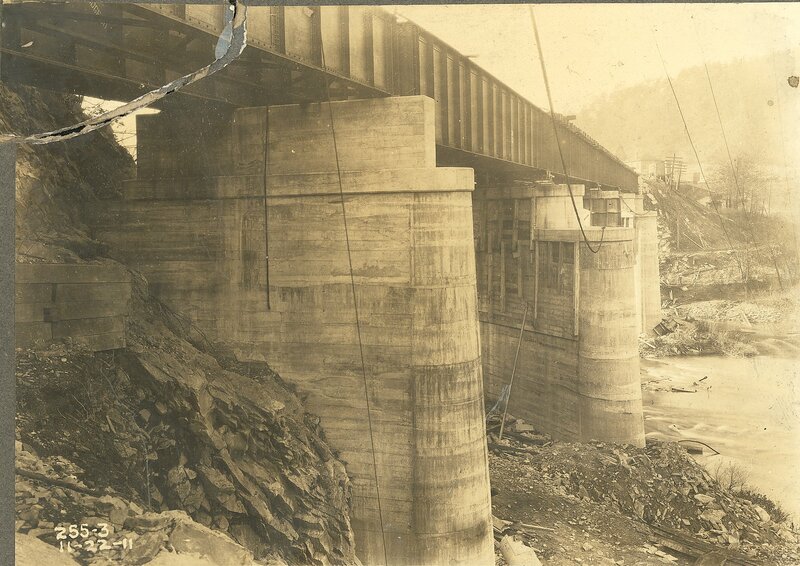 80PA121: [identification of item], Louis Edward Nollau High Bridge Photographic Collection, 1910-1912, 1948-1950s, University of Kentucky Special Collections. 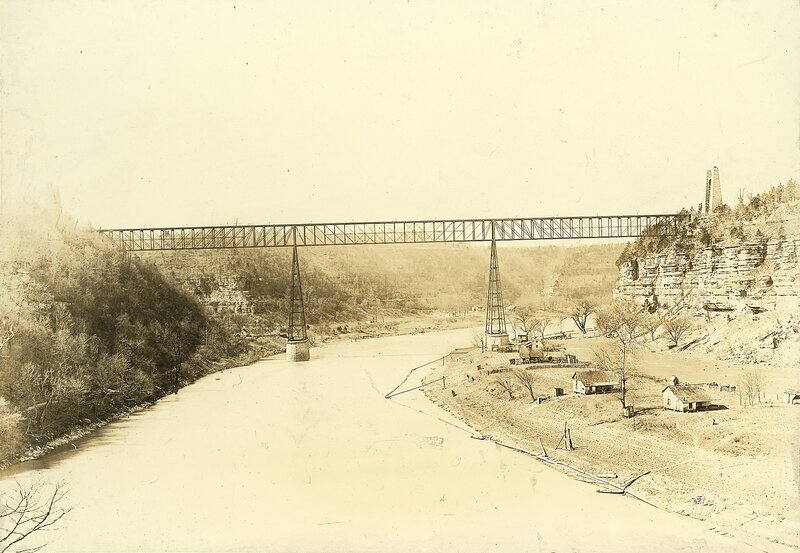 Louis Edward Nollau was born in Quincy, Illinois, in 1883. 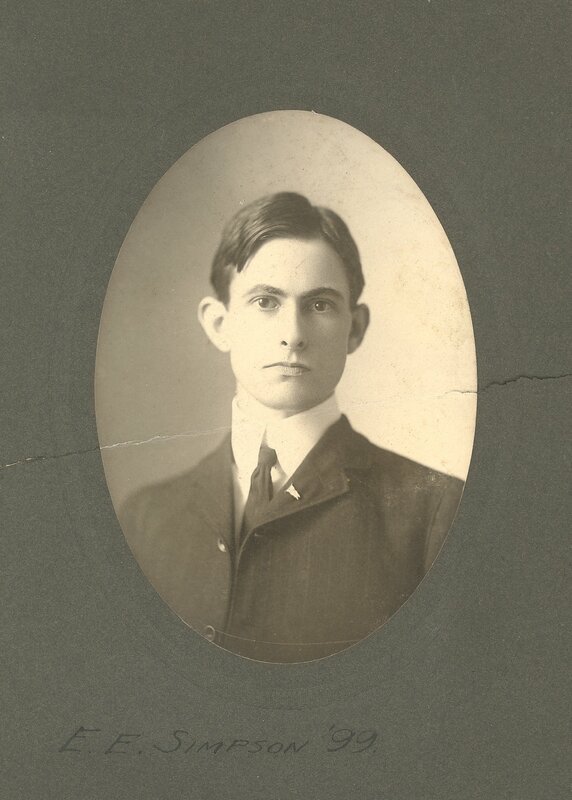 The son of Louis George and Lydia Mueller Nollau, little is known of his early life. 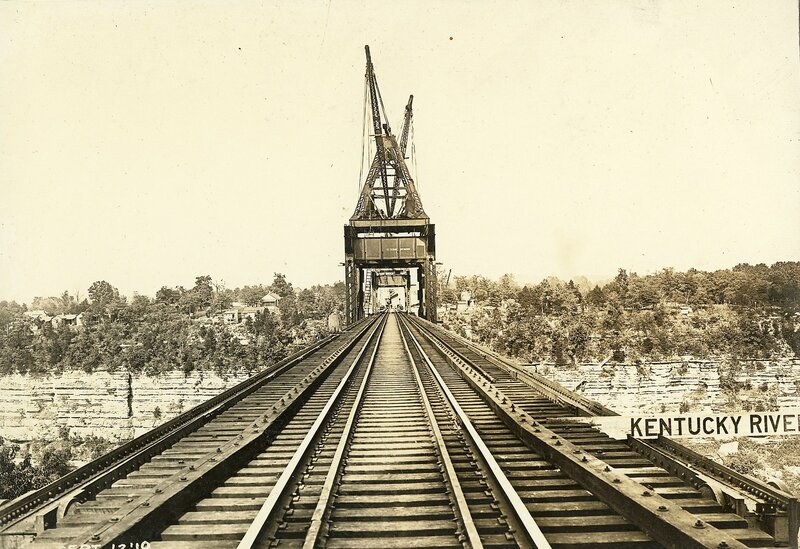 He graduated from Manual Training High School, Louisville, in 1902 and in 1904 received a B.M.E. 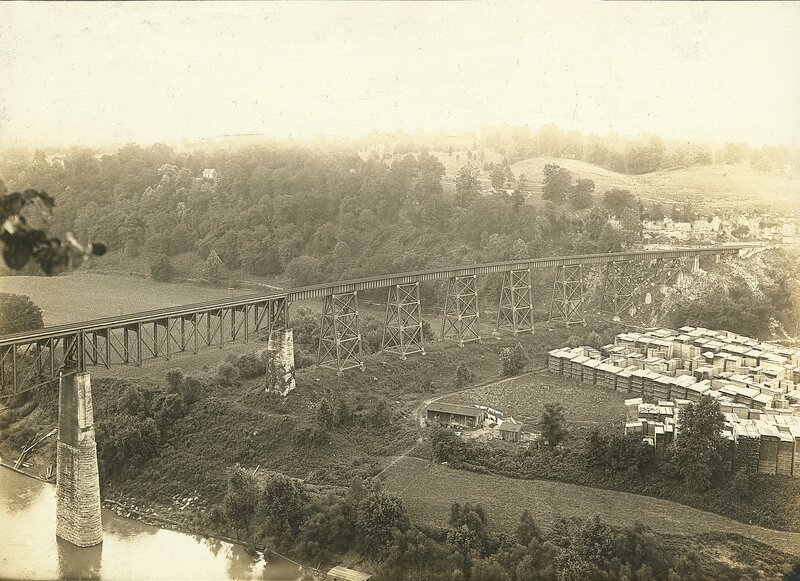 in Mechanical Engineering from the then State College of Kentucky, now the University of Kentucky. 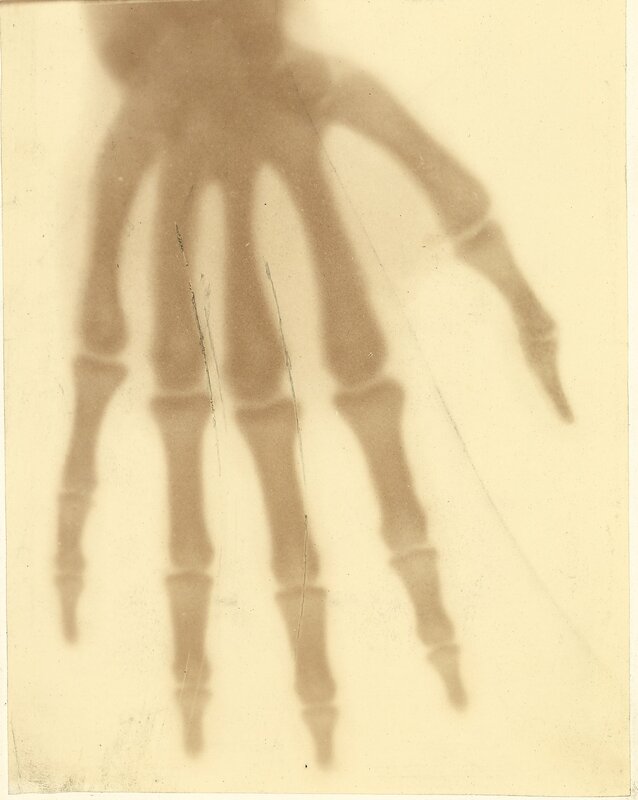 In 1908 he earned a M.E. 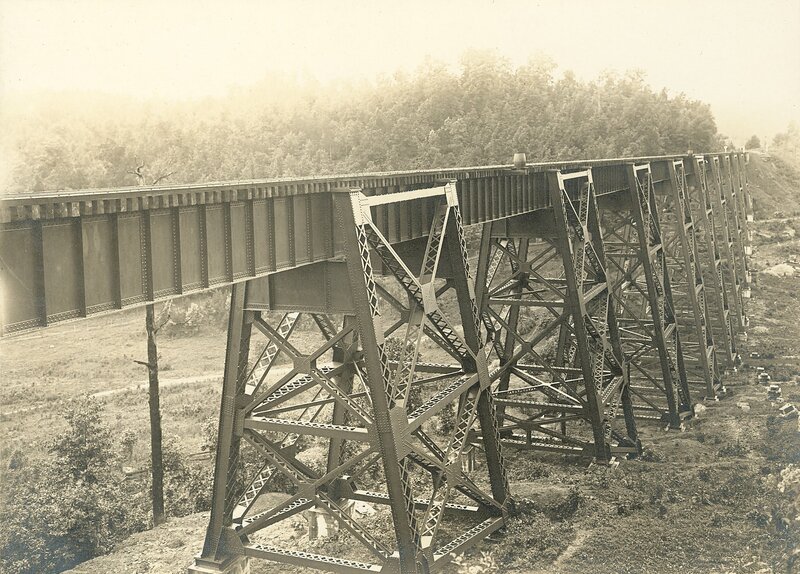 in Engineering from the University. 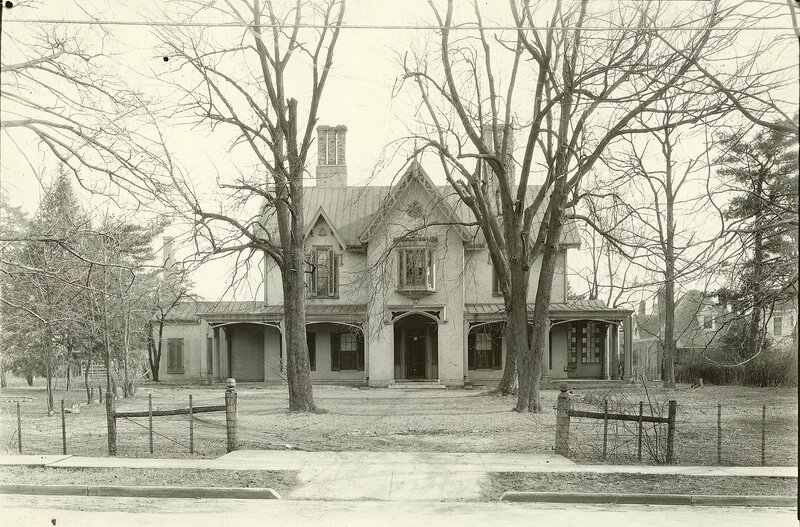 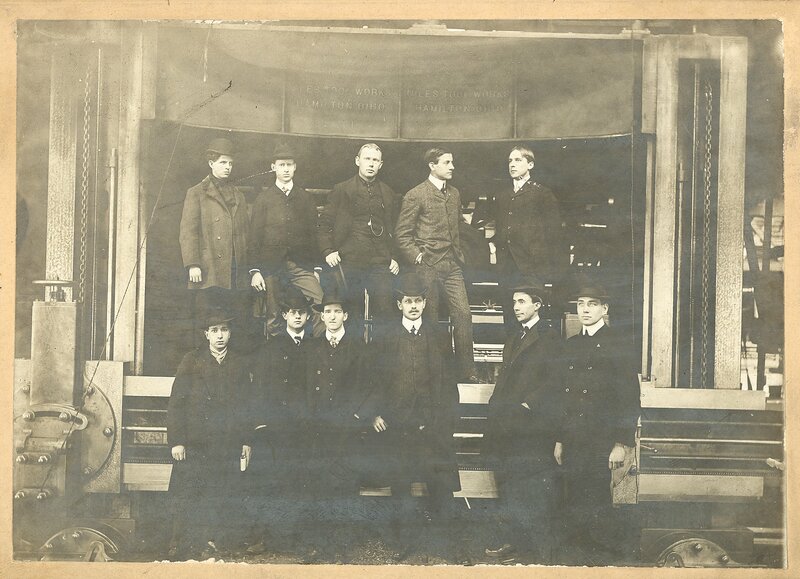 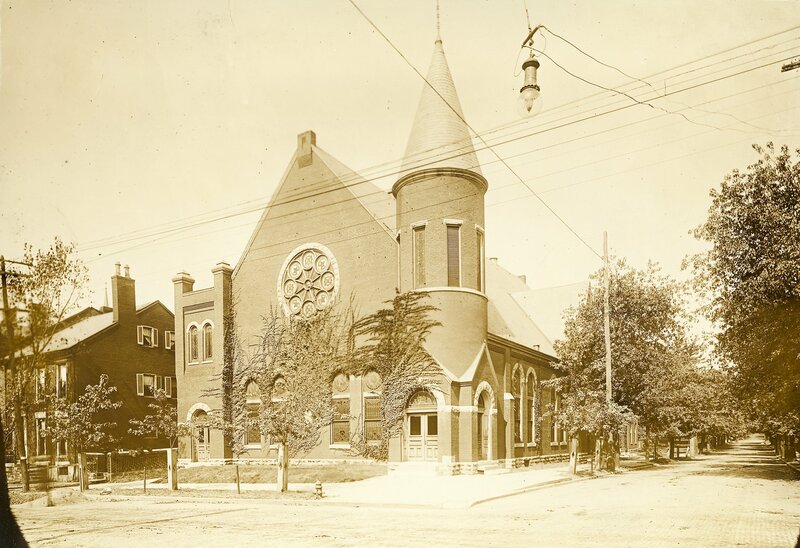 From 1904 to 1908, he served as an instructor and later assistant professor in the Mechanical and Electrical Engineering Department, teaching Wood Shop and Engineering Drawing. 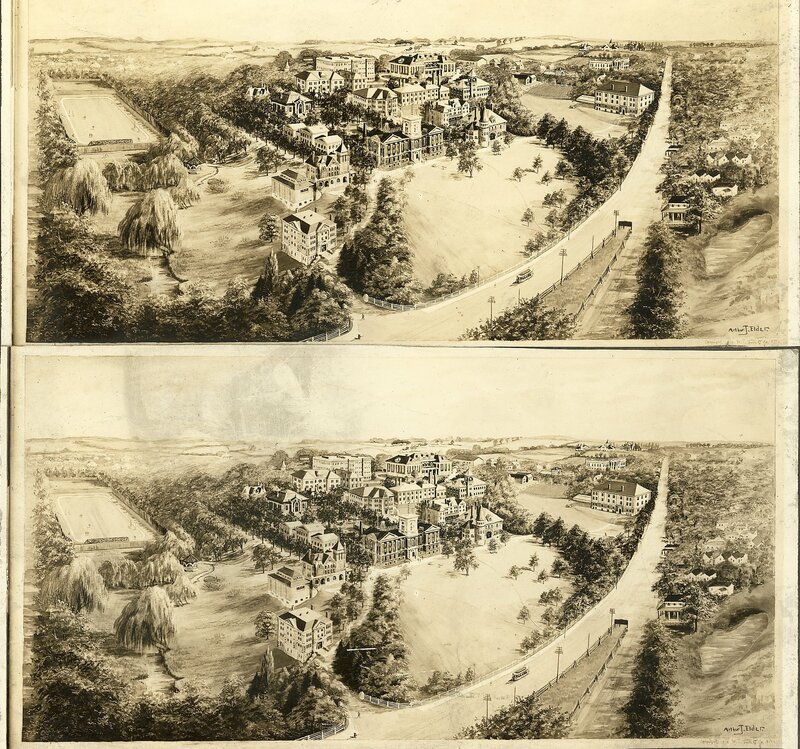 In 1908, he was appointed a full professor of Engineering Drawing. 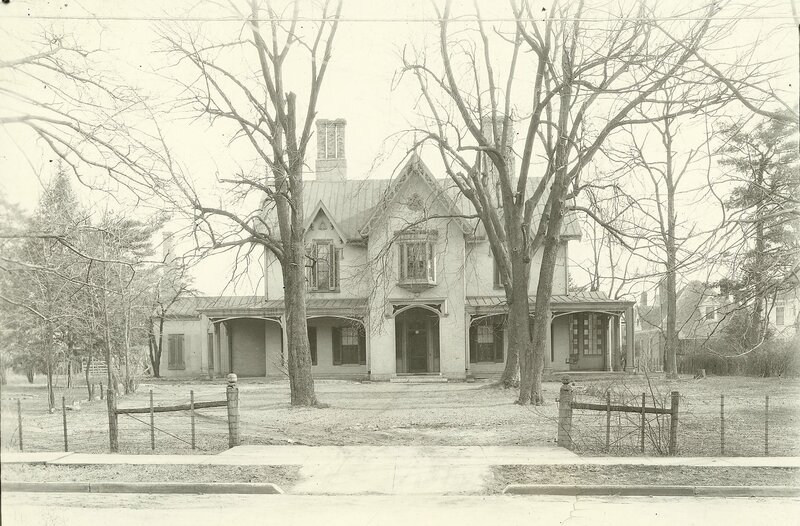 Married in 1911 to Hazel Fenton, he served as Head of the Department from 1916 to 1939. 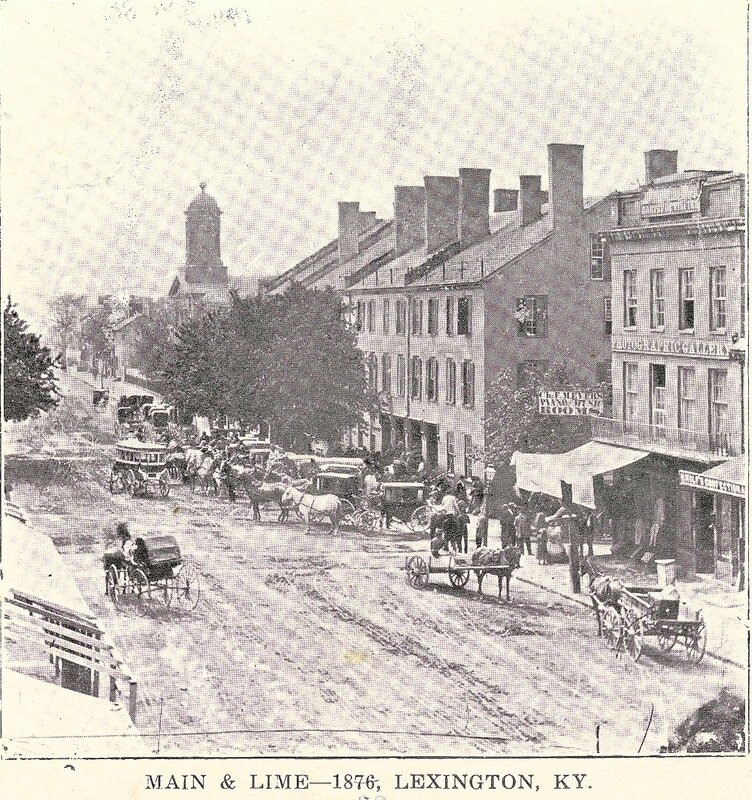 Active as a speaker at many meetings of the Lexington Camera Club, he lectured on the history of photography. 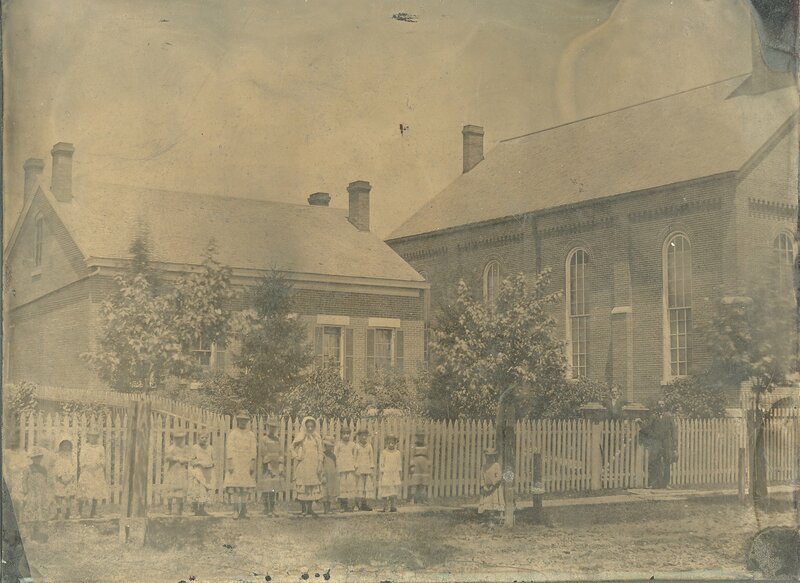 Retired in 1953, he was placed on Special Assignment and continued teaching until his death. 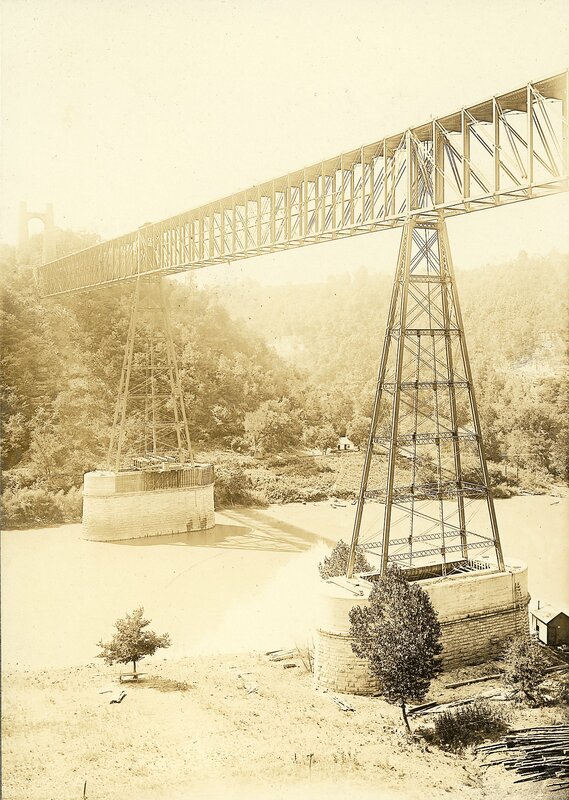 Located over the Kentucky River, High Bridge was once the highest bridge in North America and the highest railroad bridge in the world. 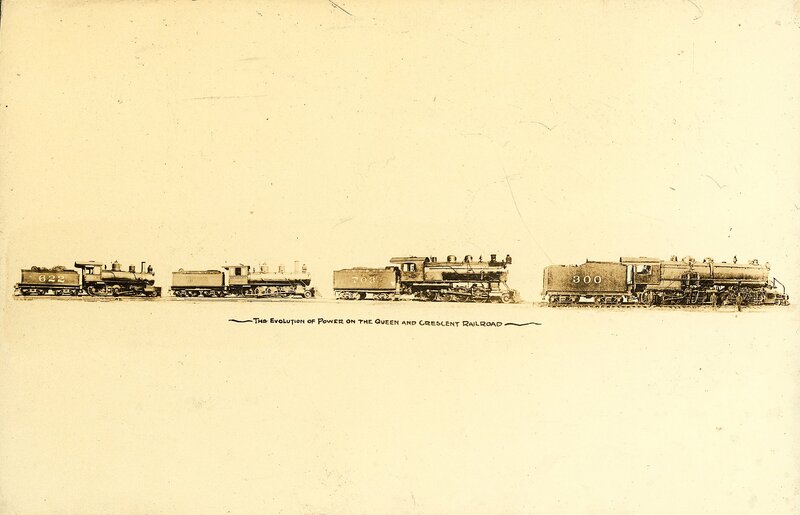 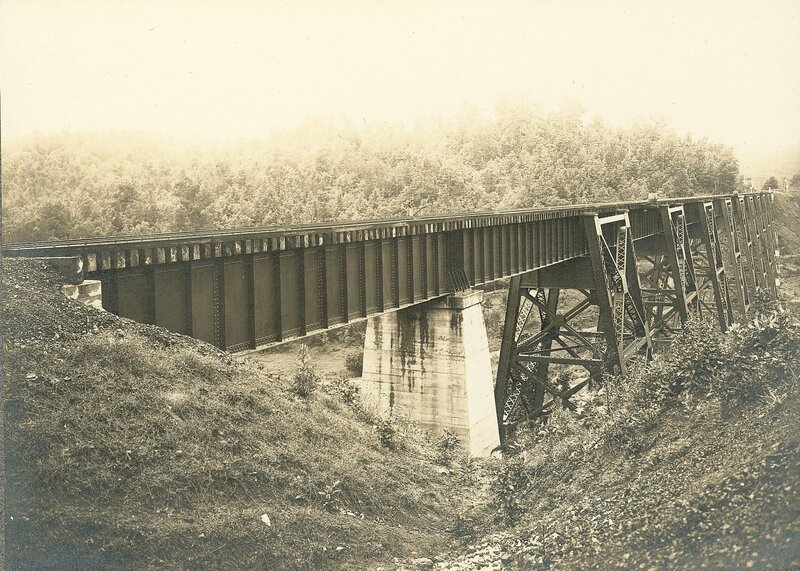 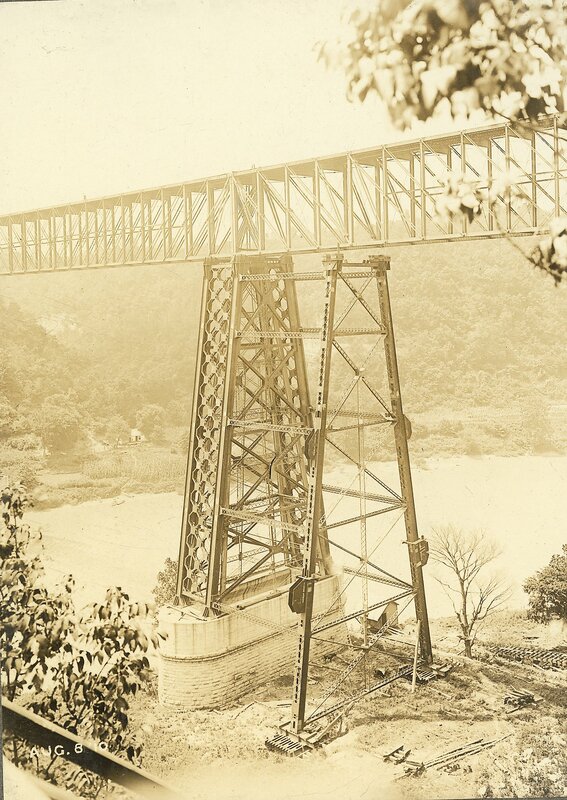 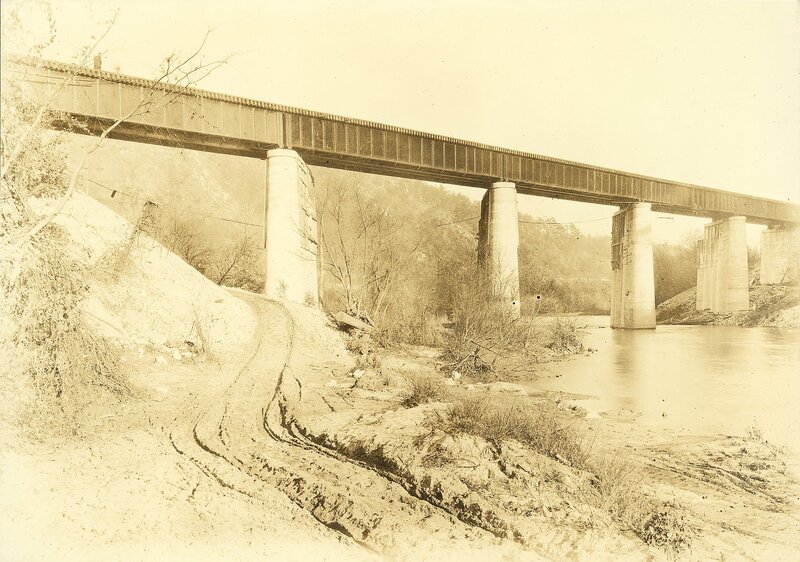 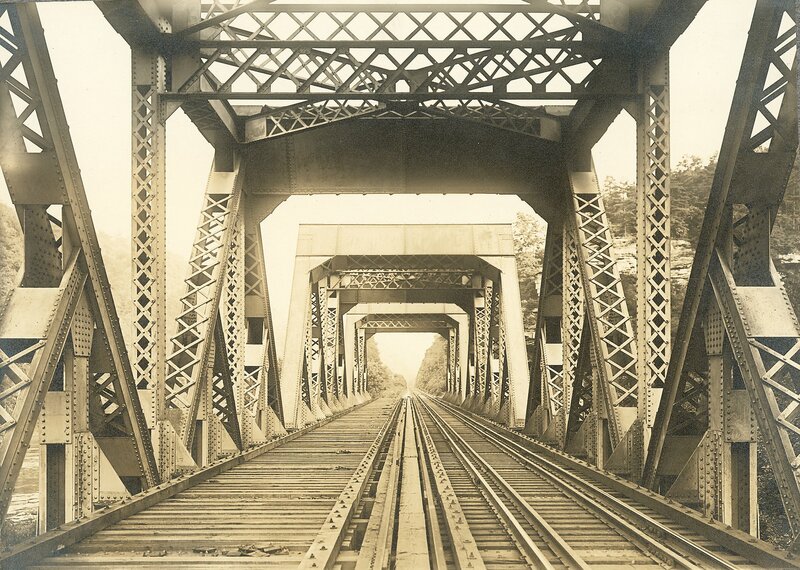 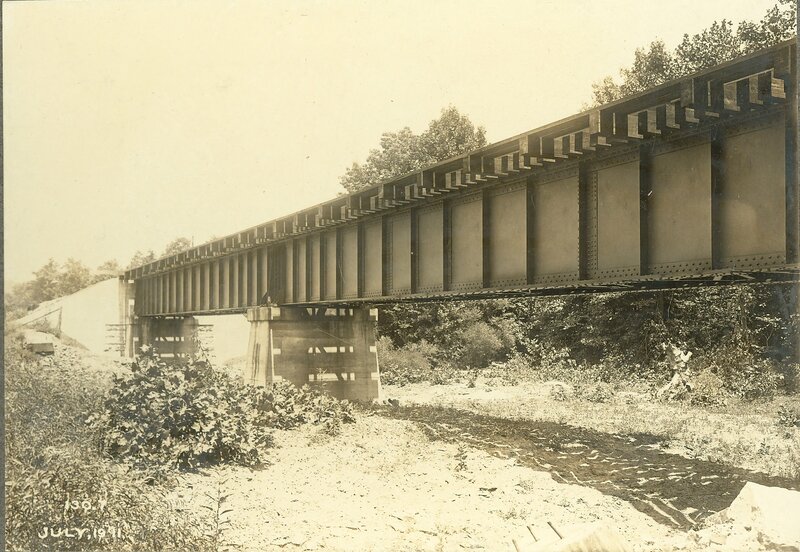 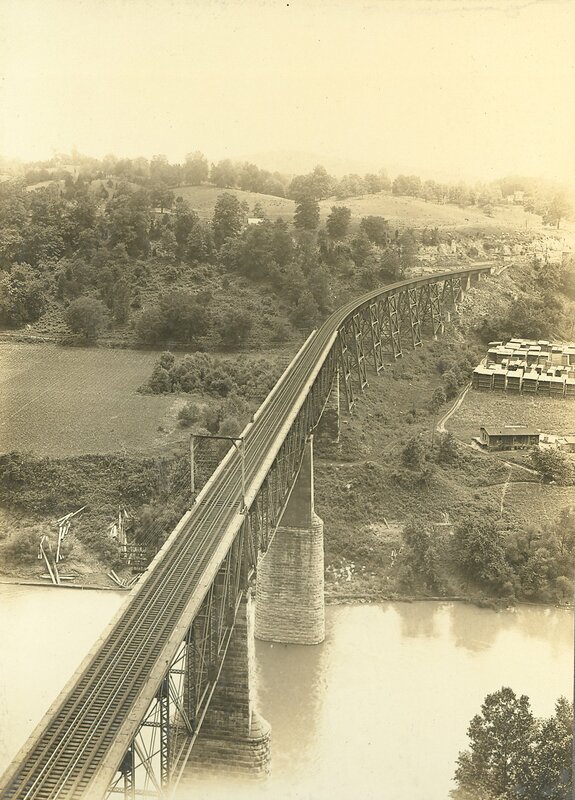 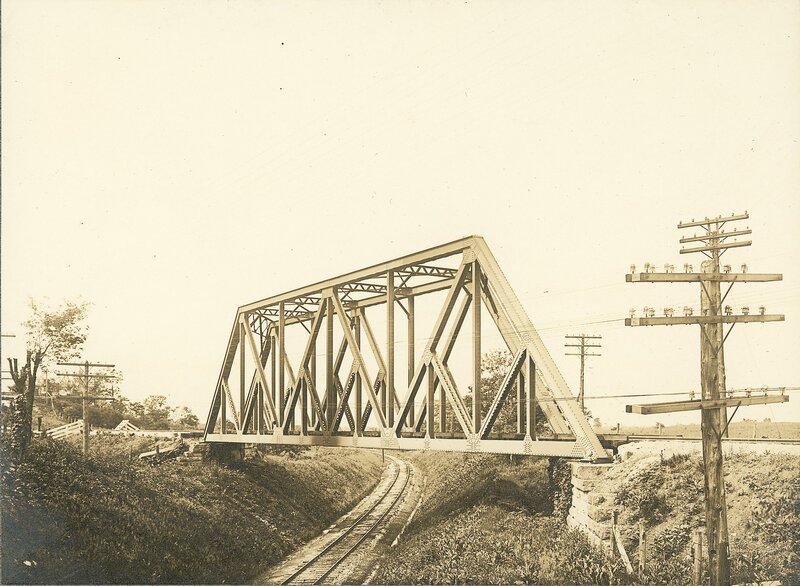 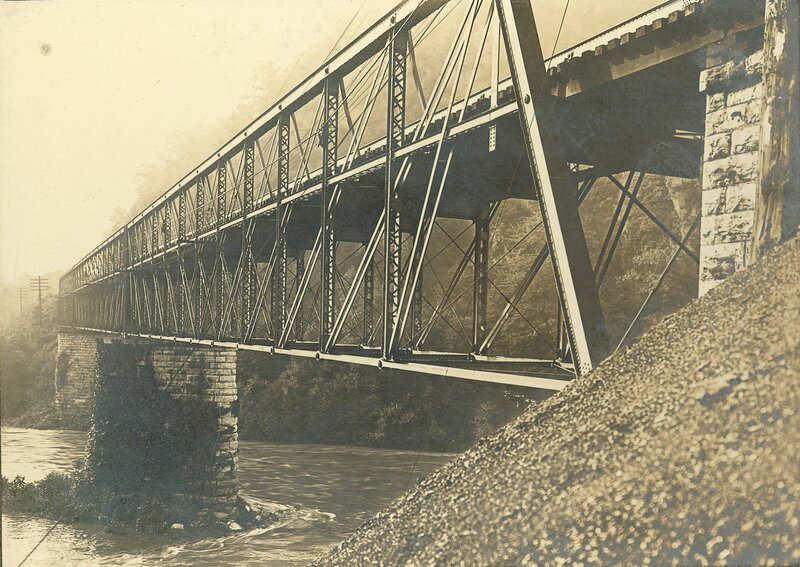 A bridge was begun in the 1850s for the Lexington and Danville Railroad. 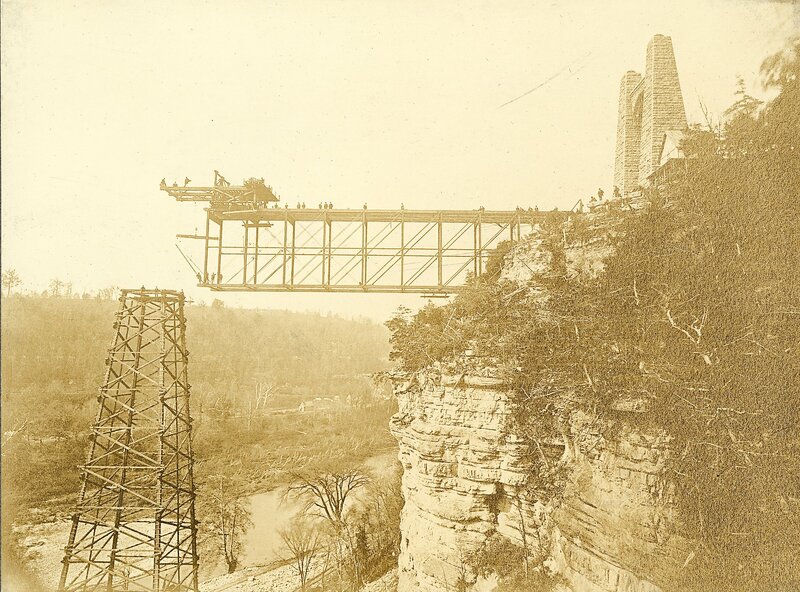 It was to be a suspension bridge, designed by John A. Roebling, but was never completed. 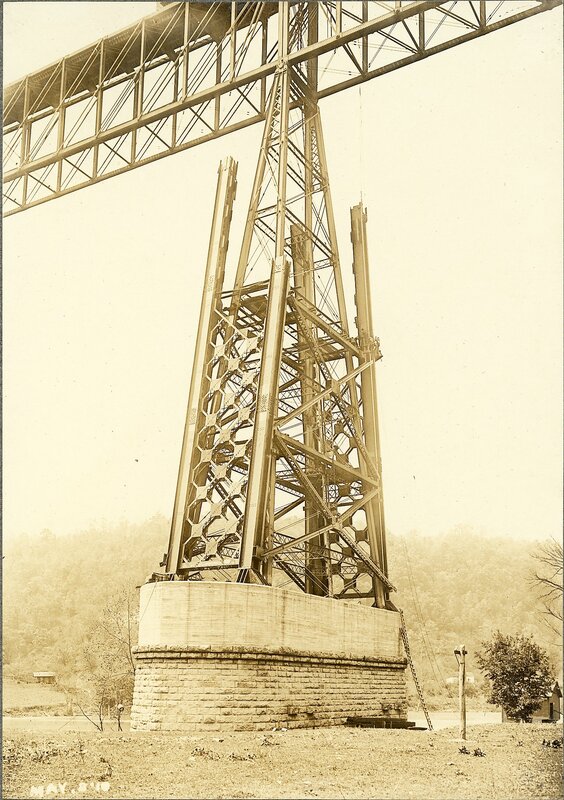 (The towers for the suspension cables were built and remained until 1929.) 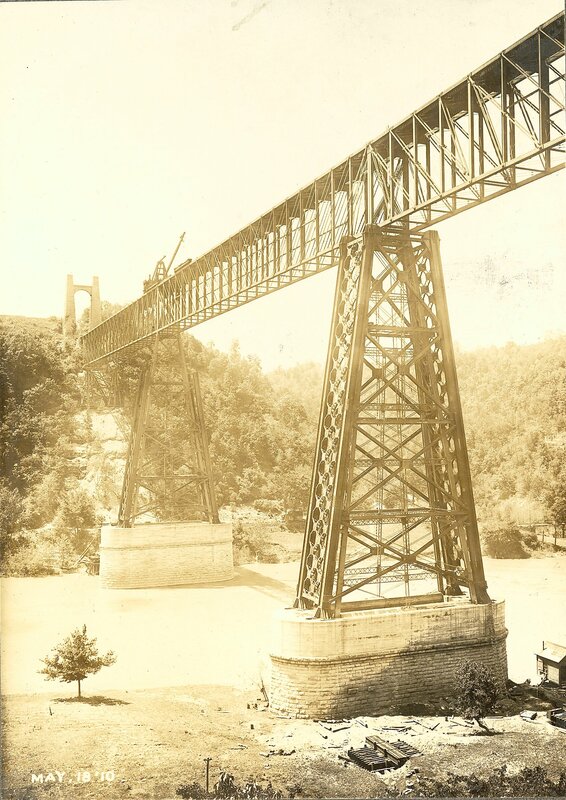 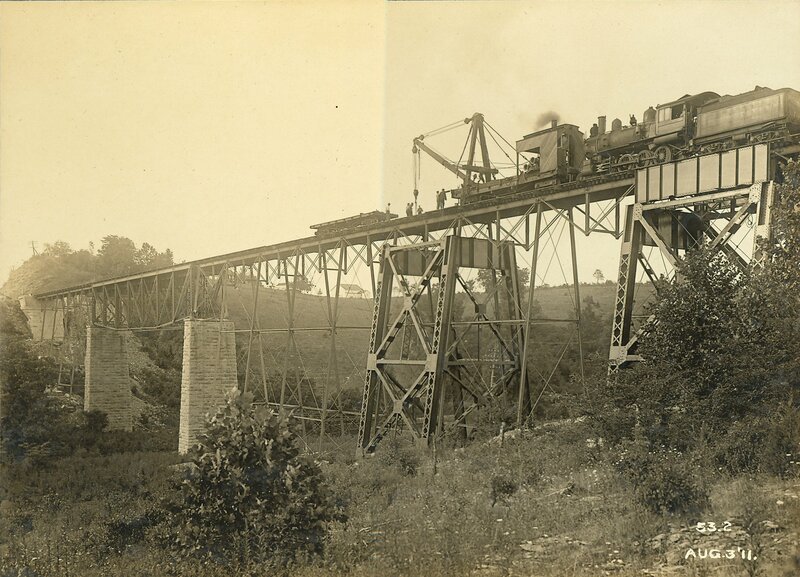 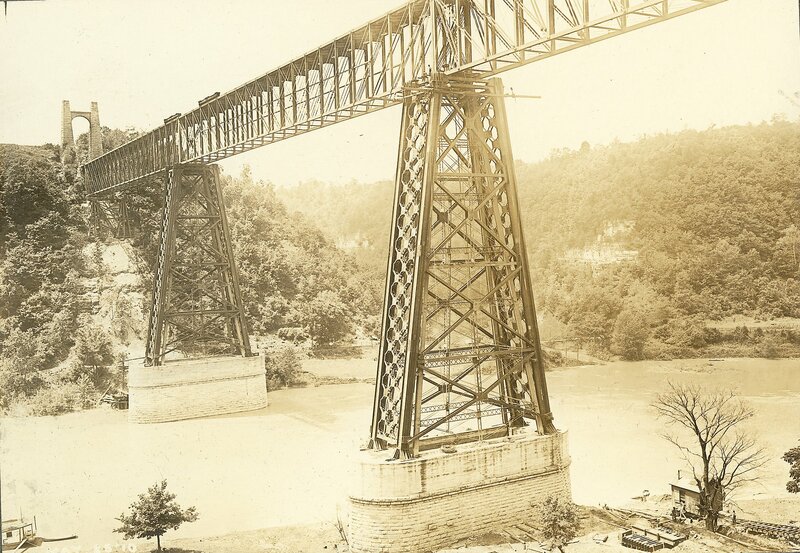 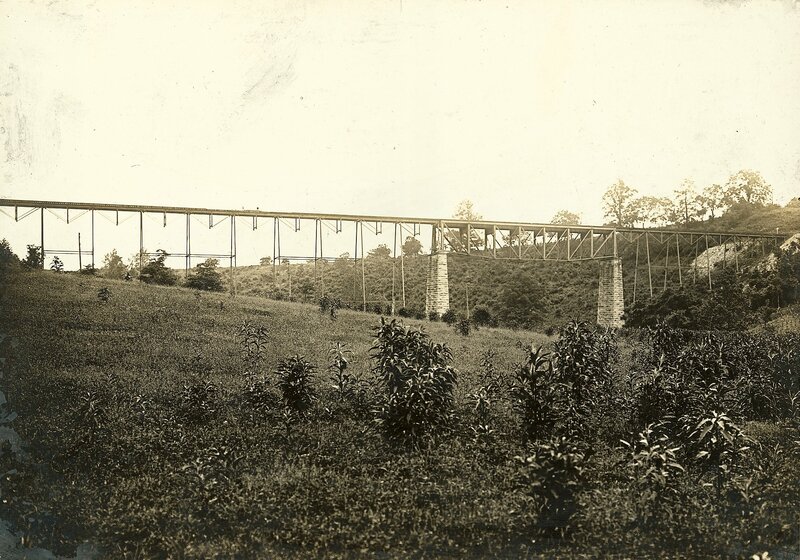 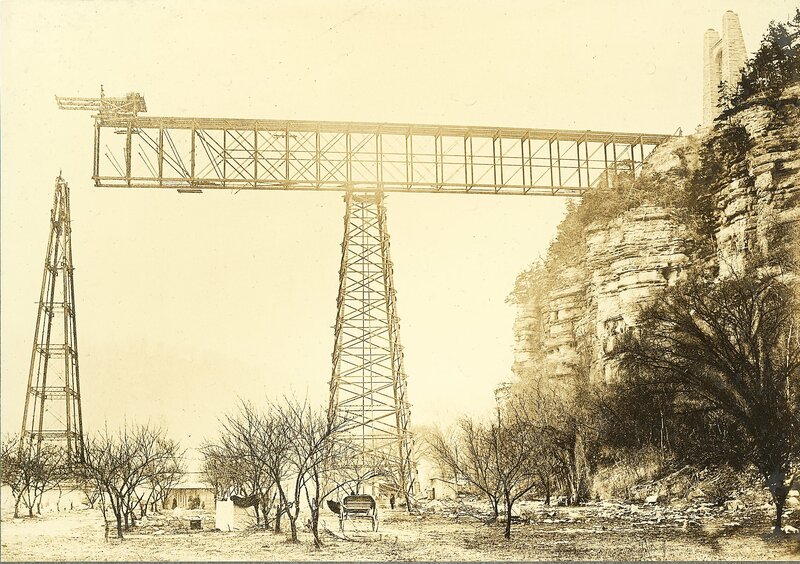 A bridge of cantilever design was finally opened in 1877 on the Cincinnati Southern Railway, 275 feet tall and 1,125 feet long, and dedicated by President Rutherford B. Hayes in 1879. 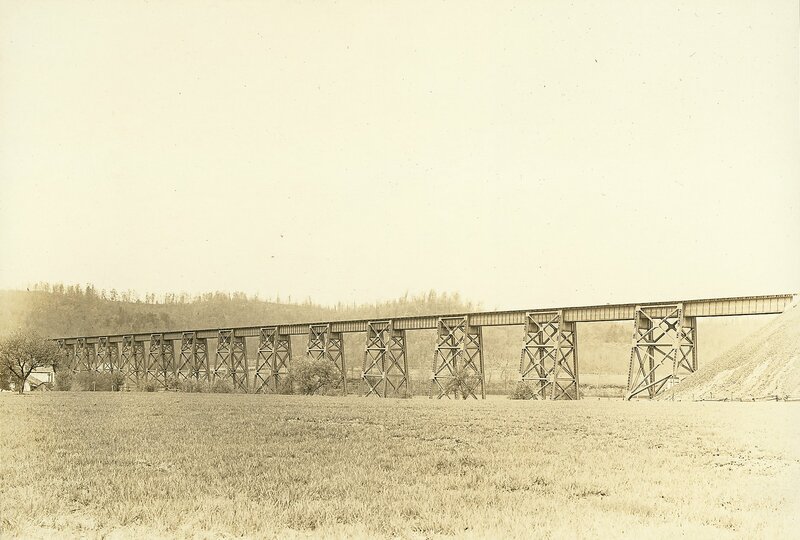 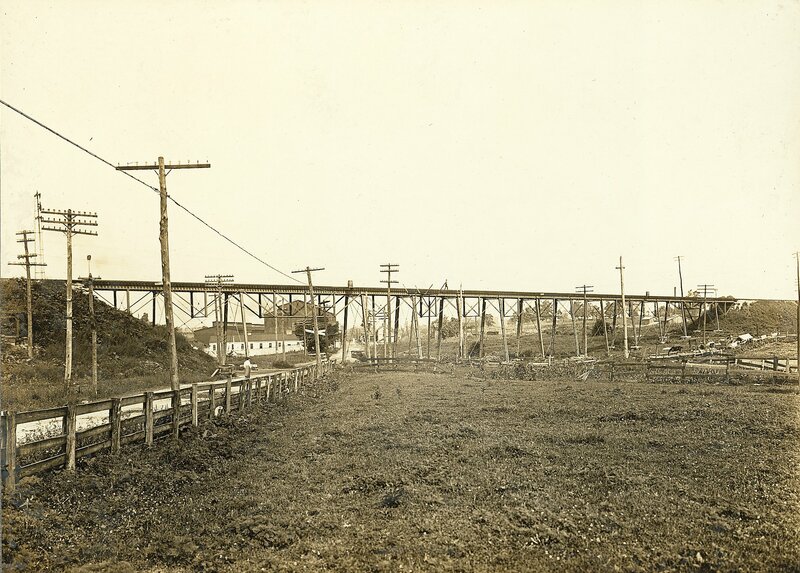 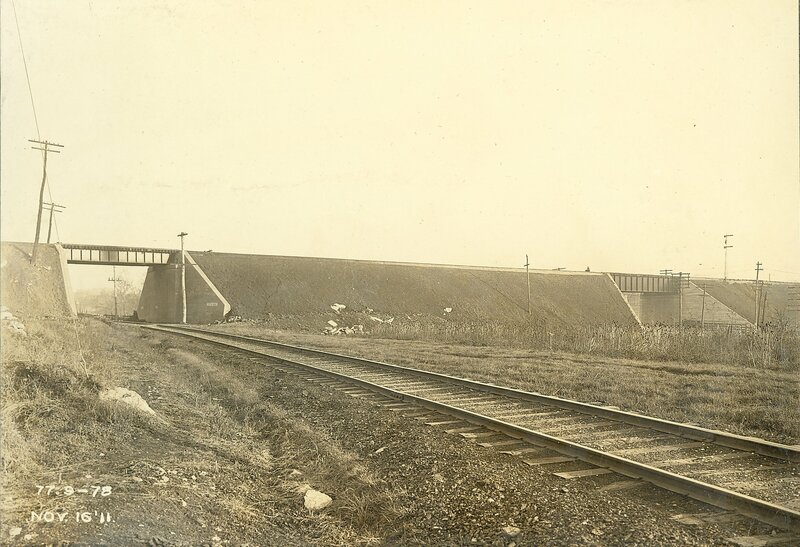 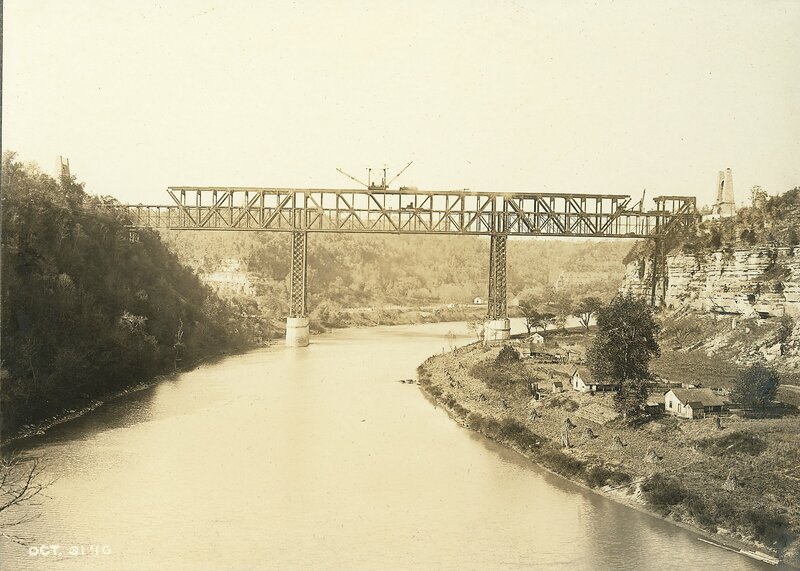 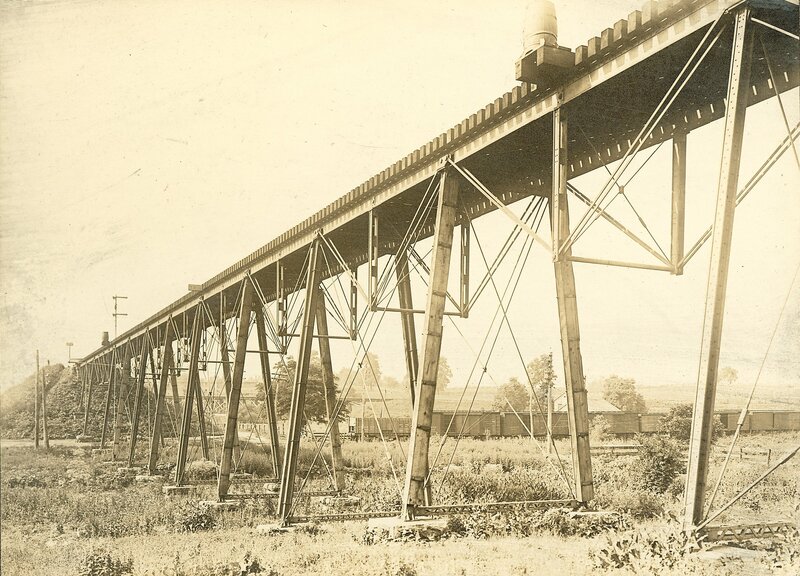 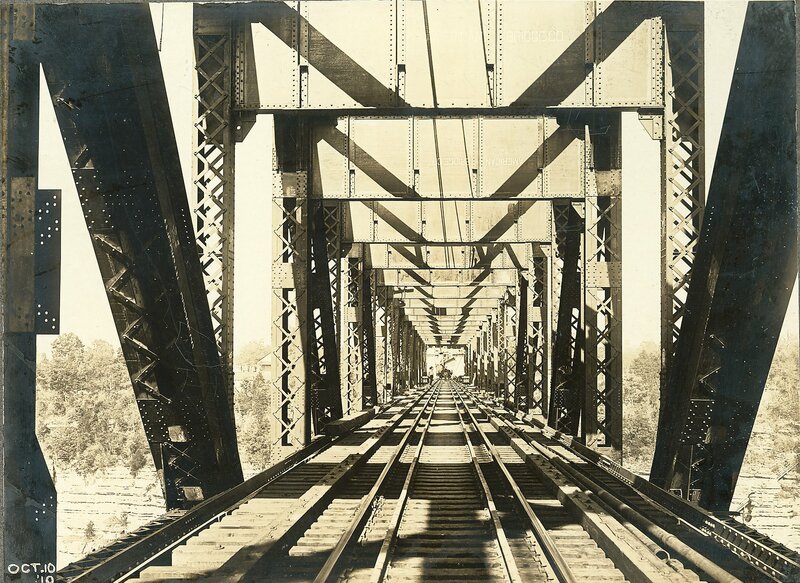 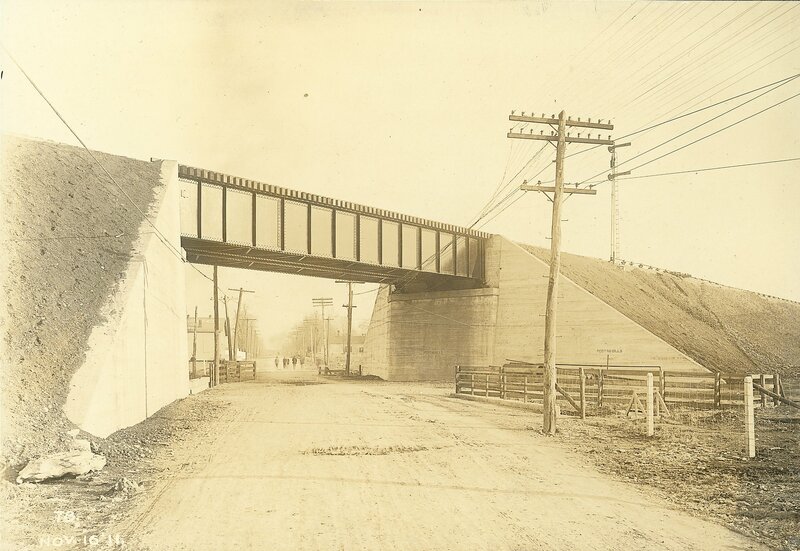 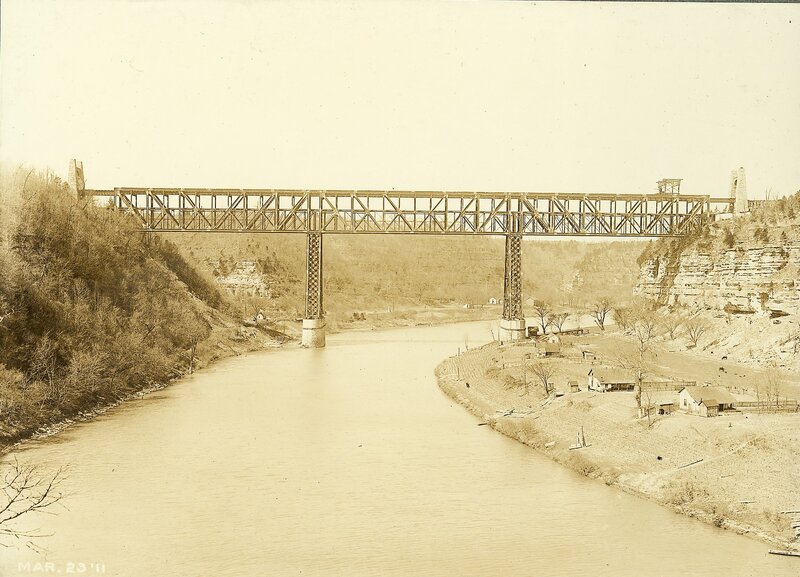 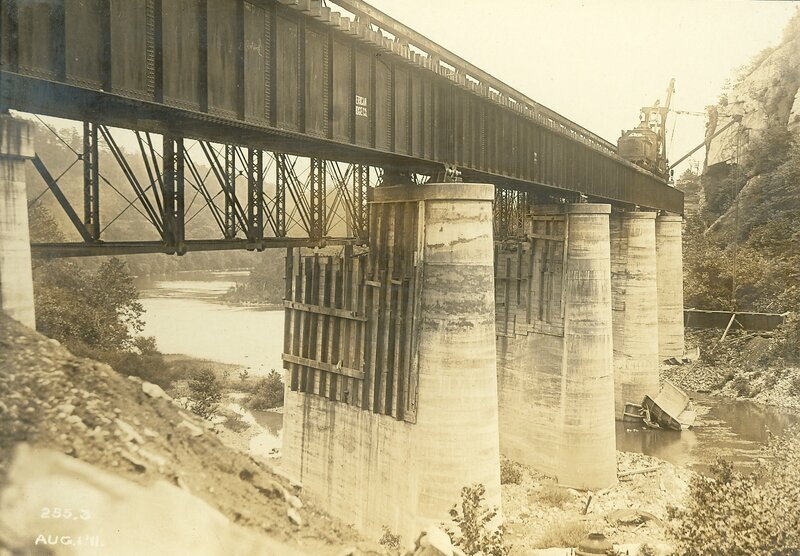 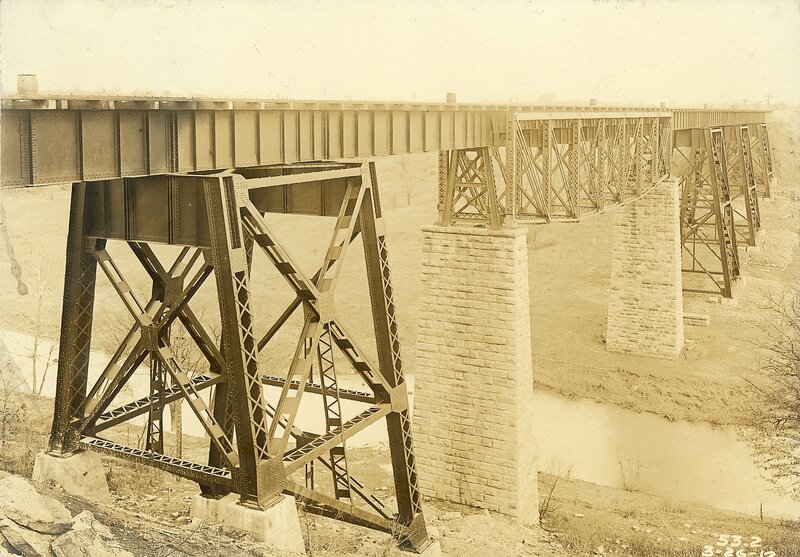 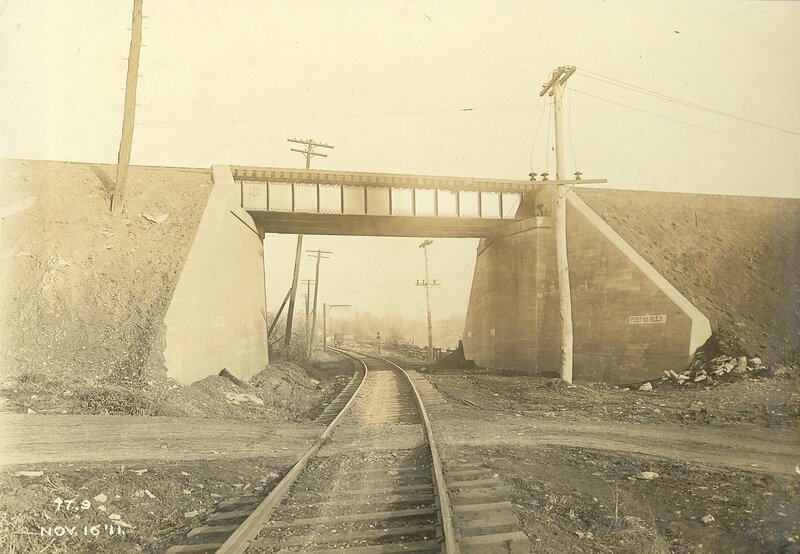 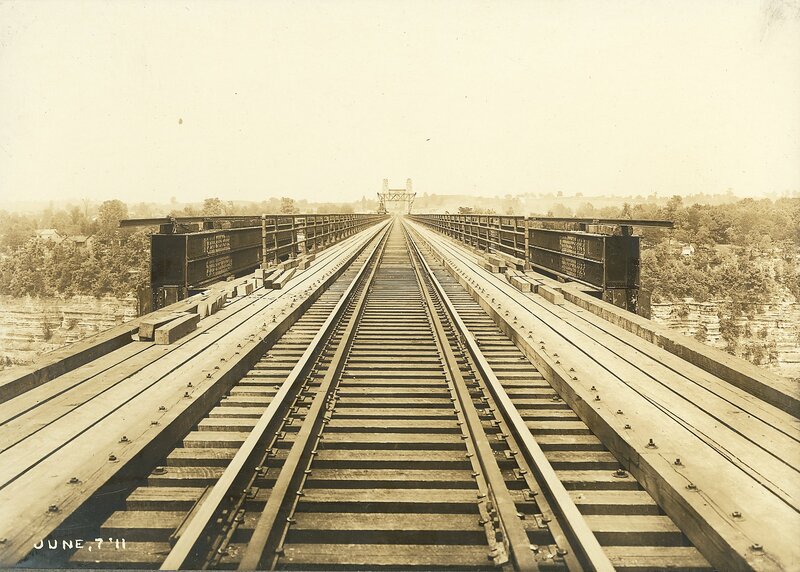 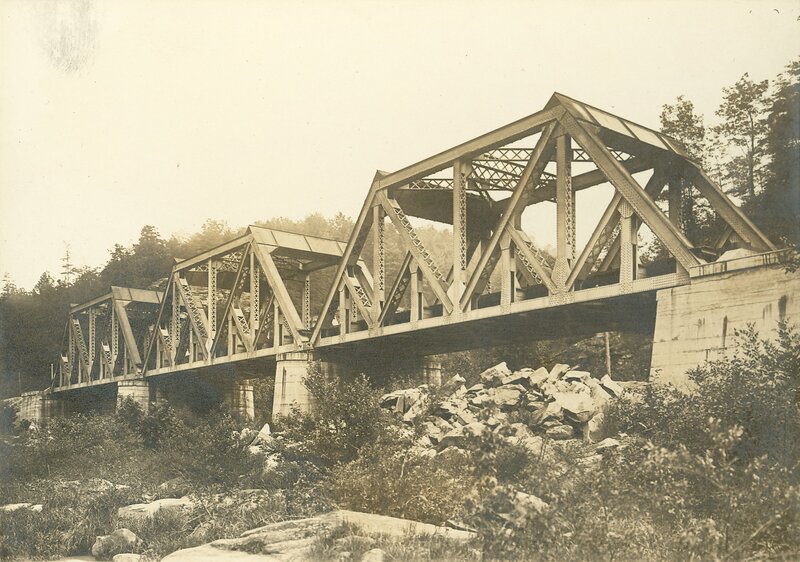 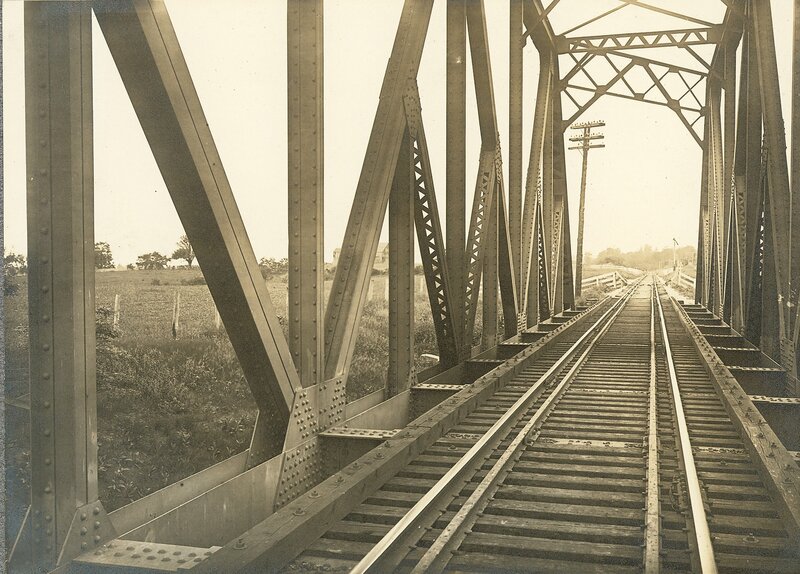 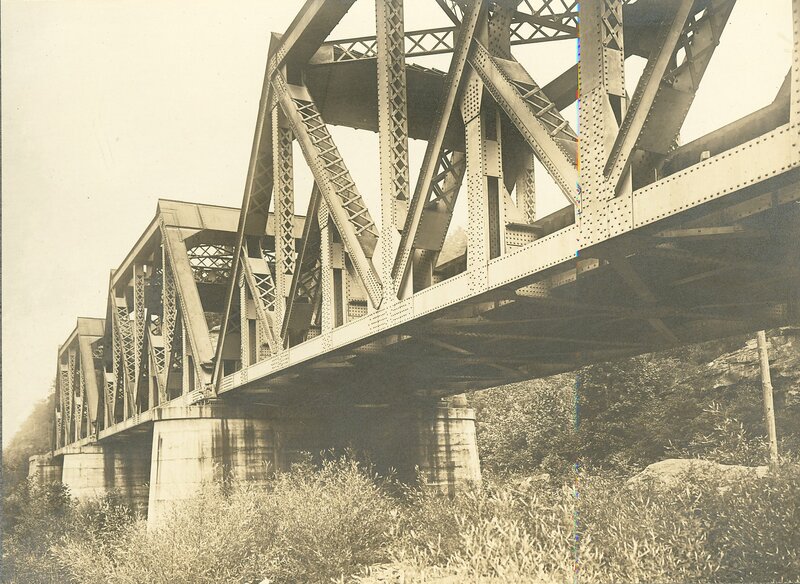 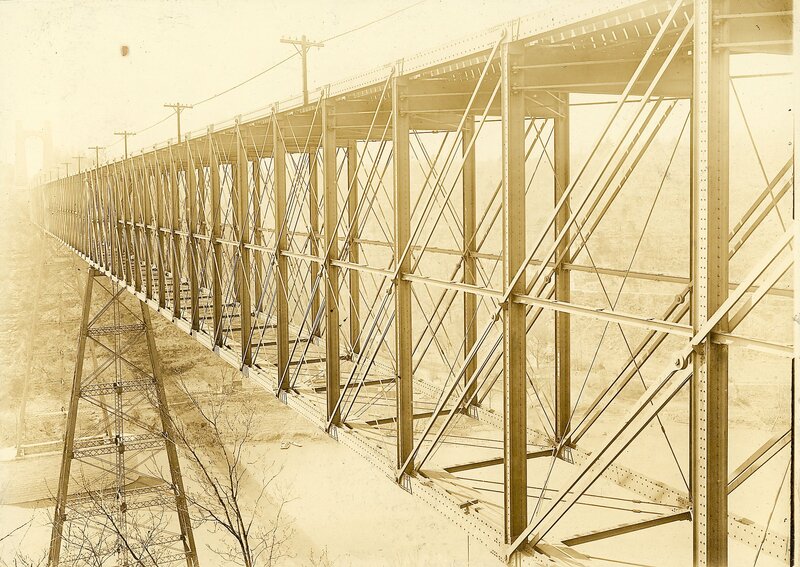 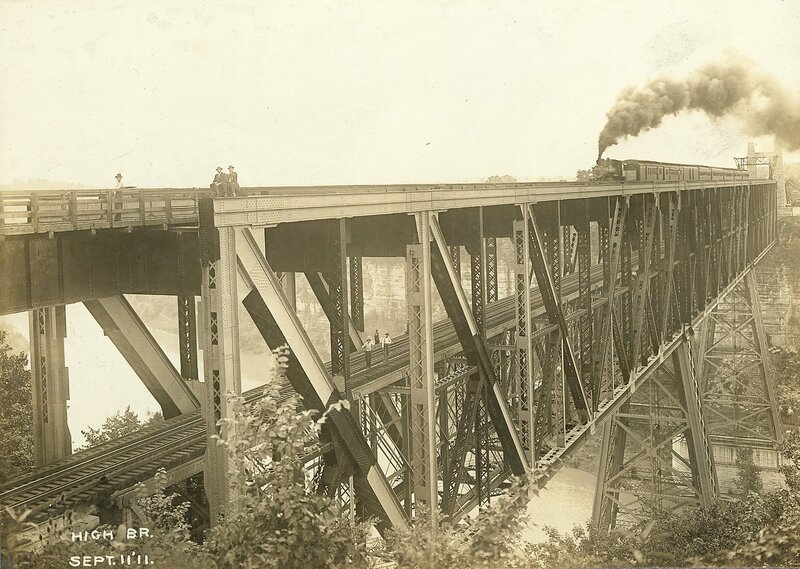 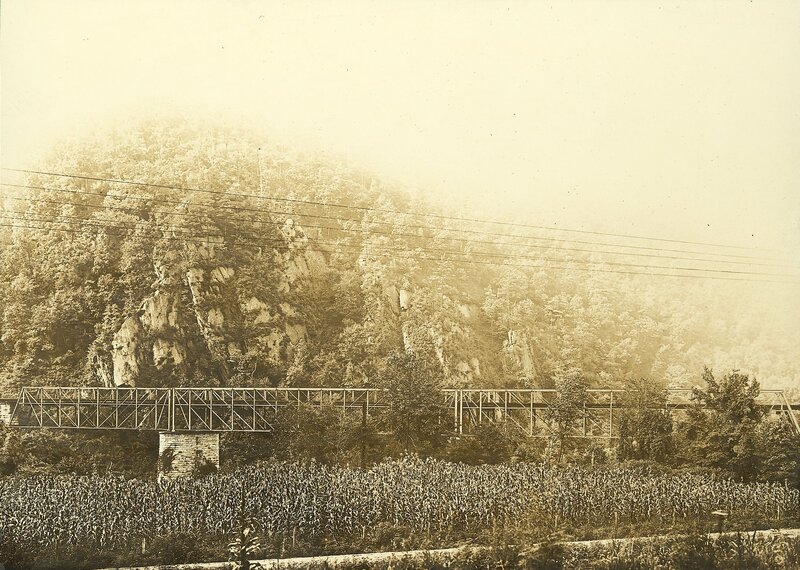 A new bridge was built around the existing structure in 1911 and expanded to two tracks in 1929. 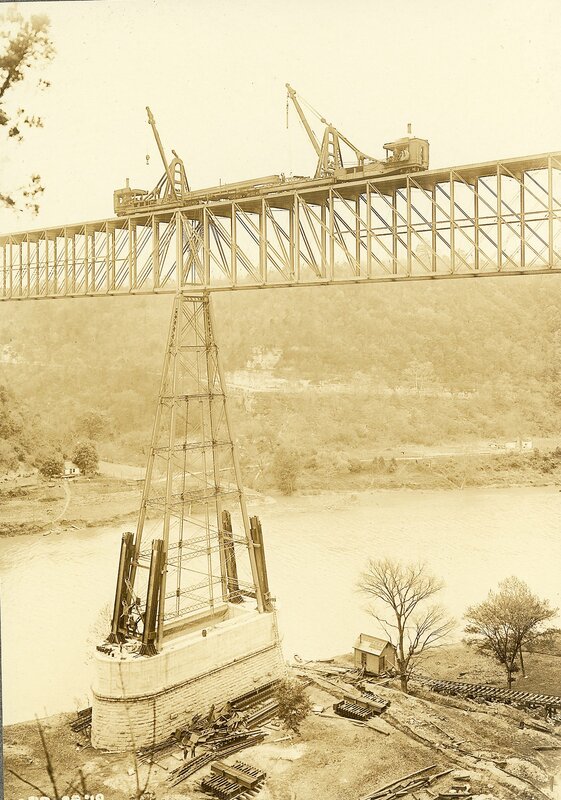 The Louis Edward Nollau High Bridge Collection (dated 1910-1912, 1948-1950s; 1 cubic foot; 72 items) depicts the rebuilding of the High Bridge railroad bridge around 1910 to 1911. 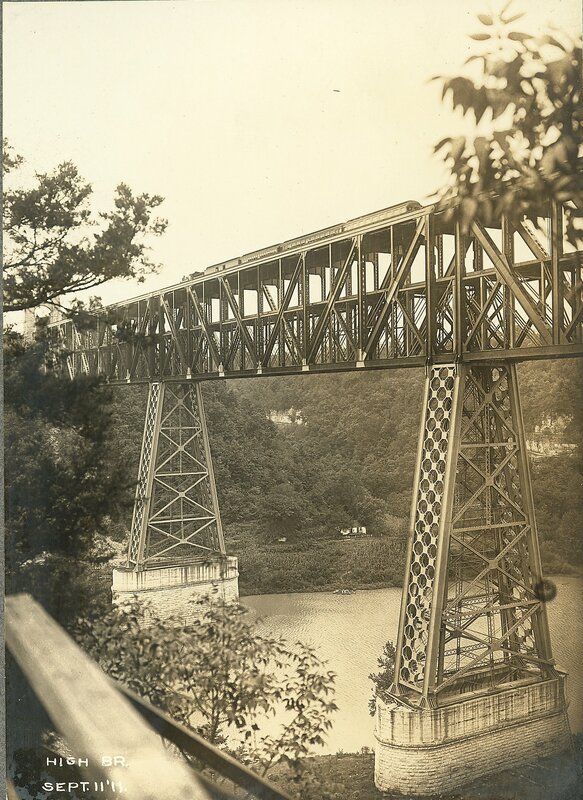 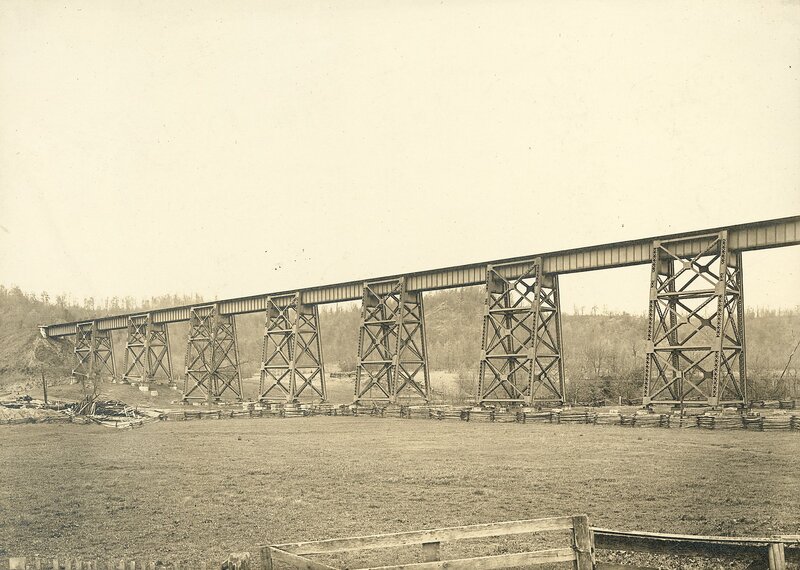 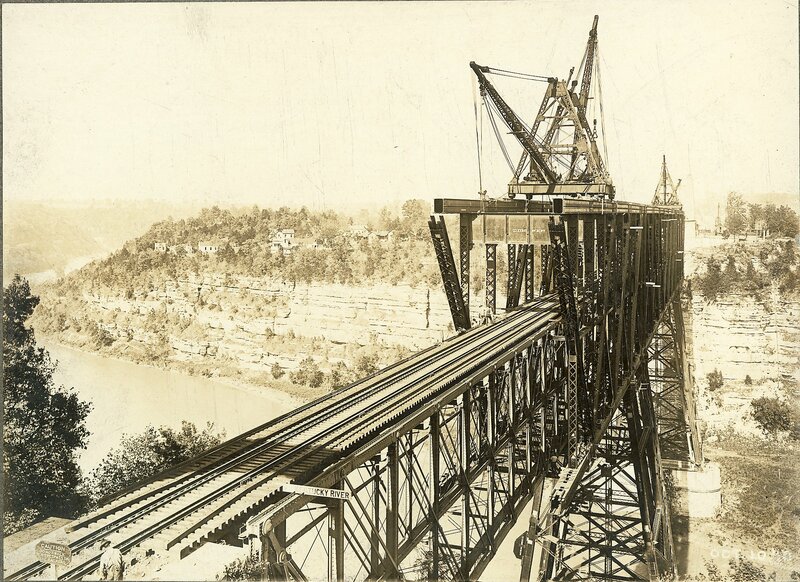 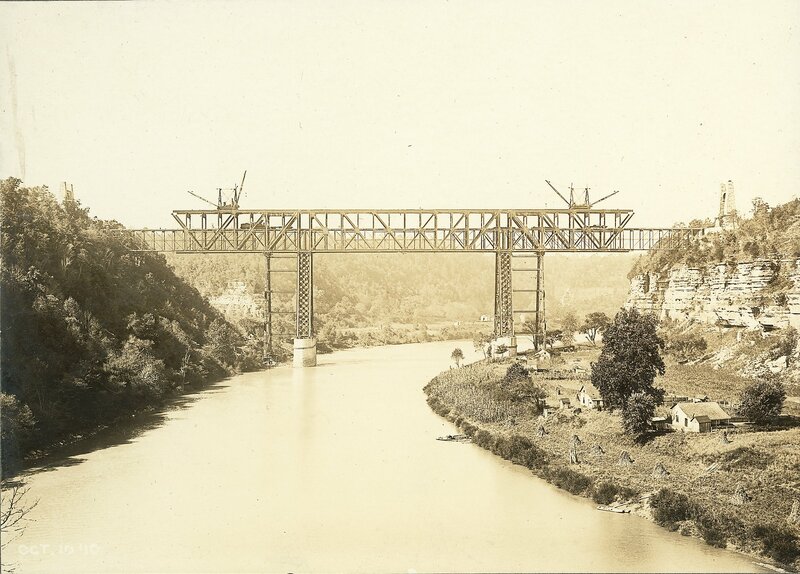 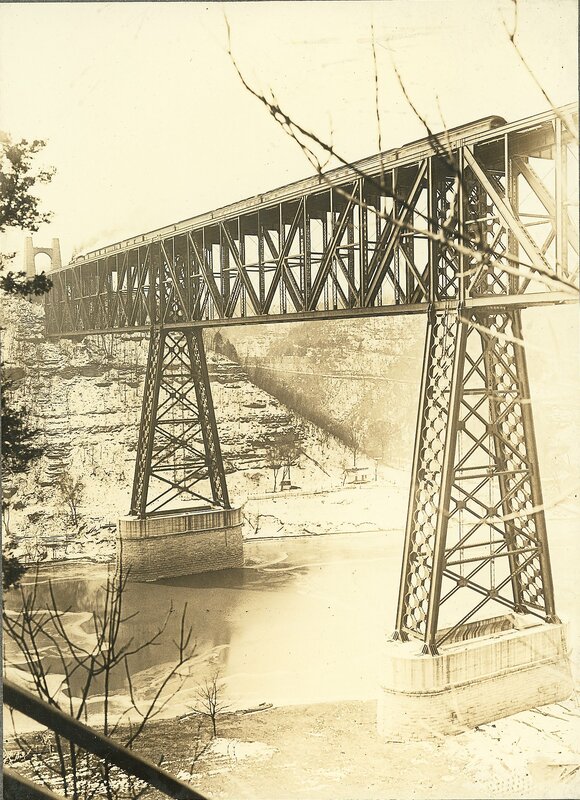 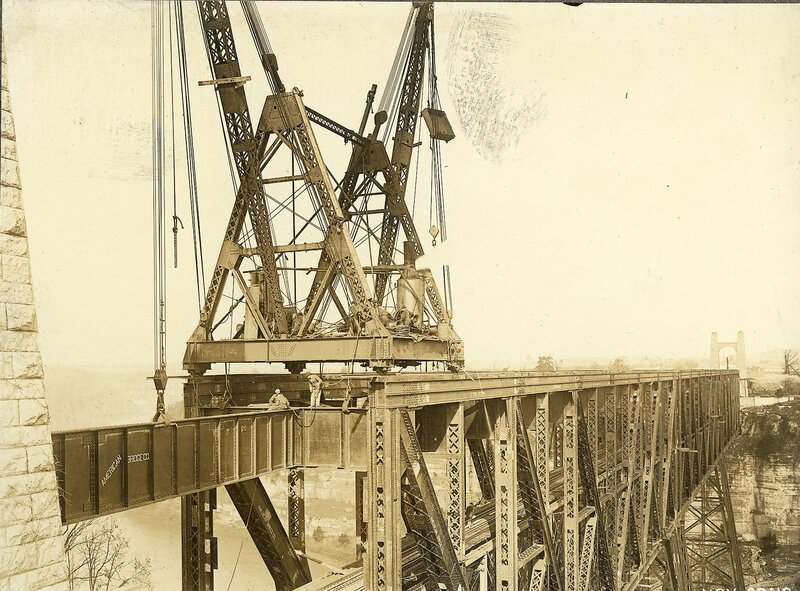 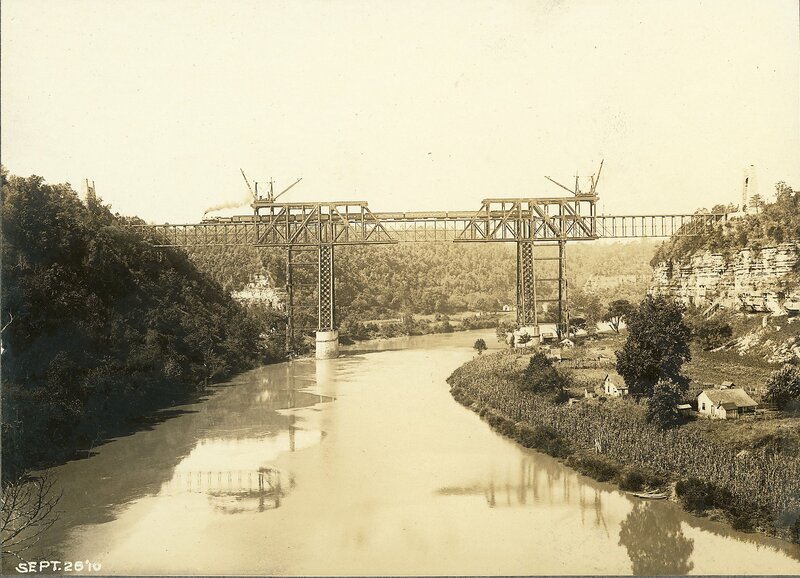 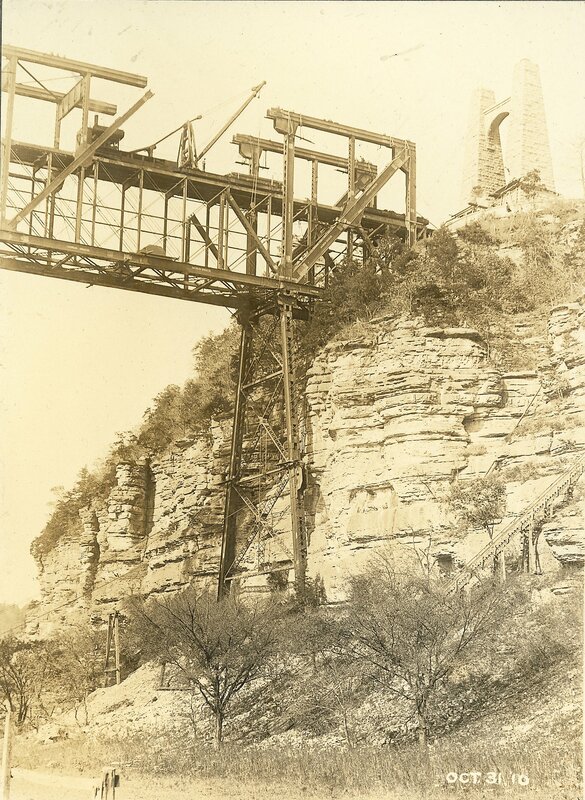 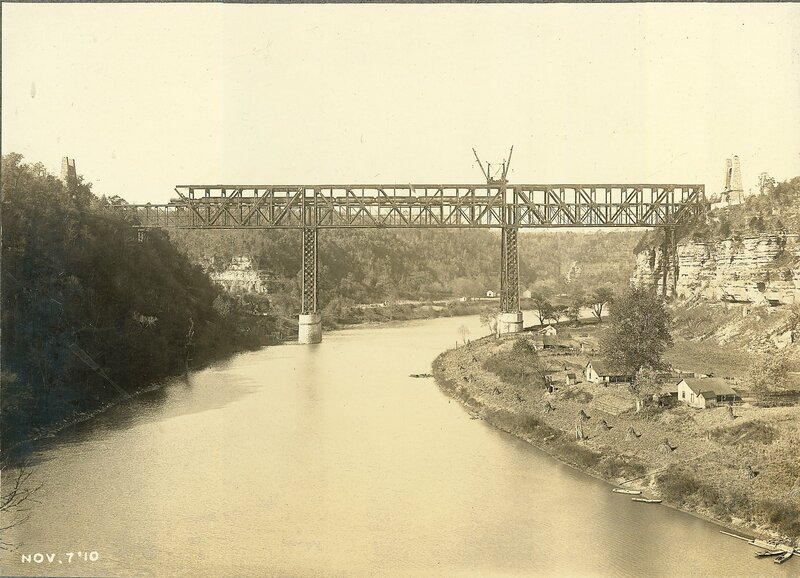 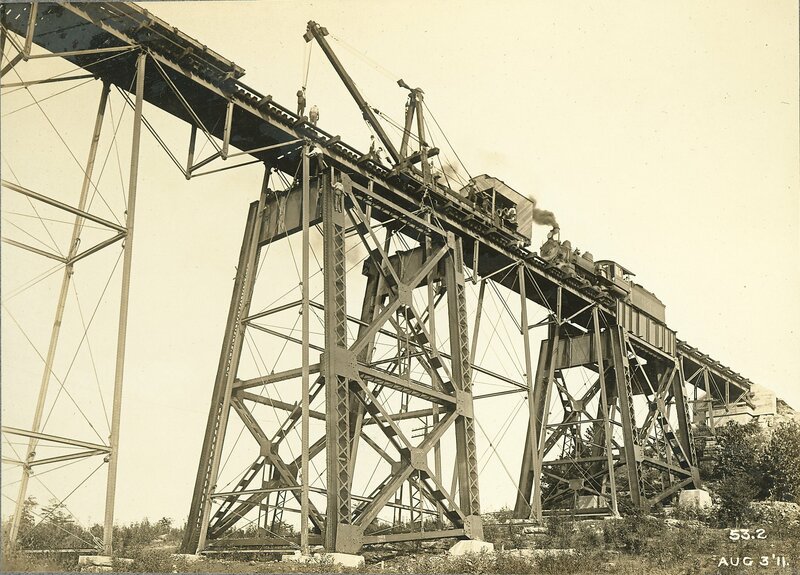 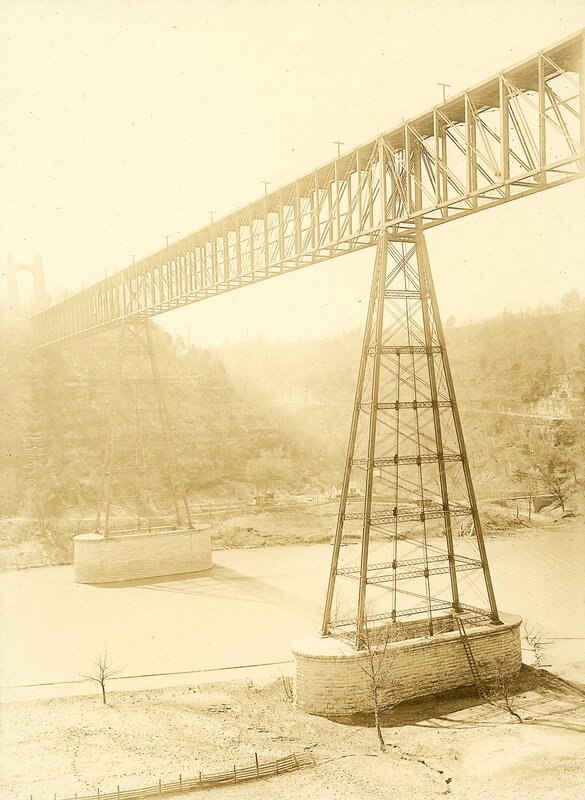 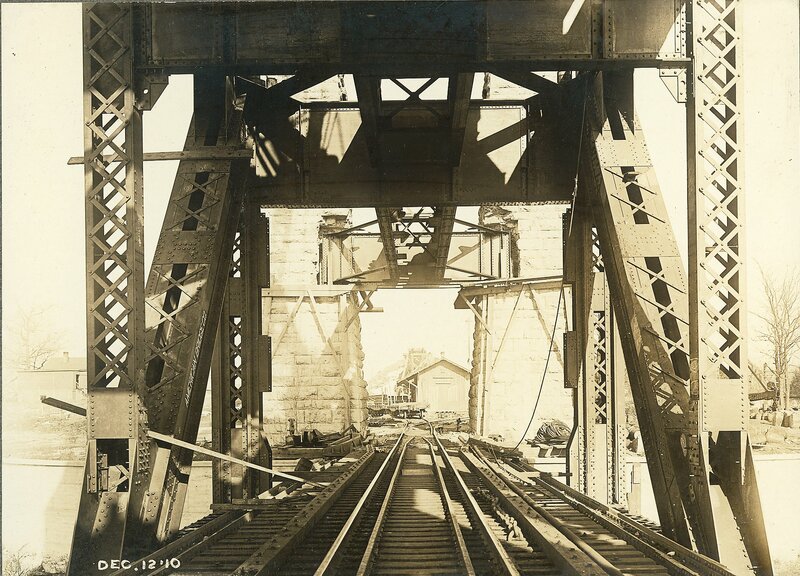 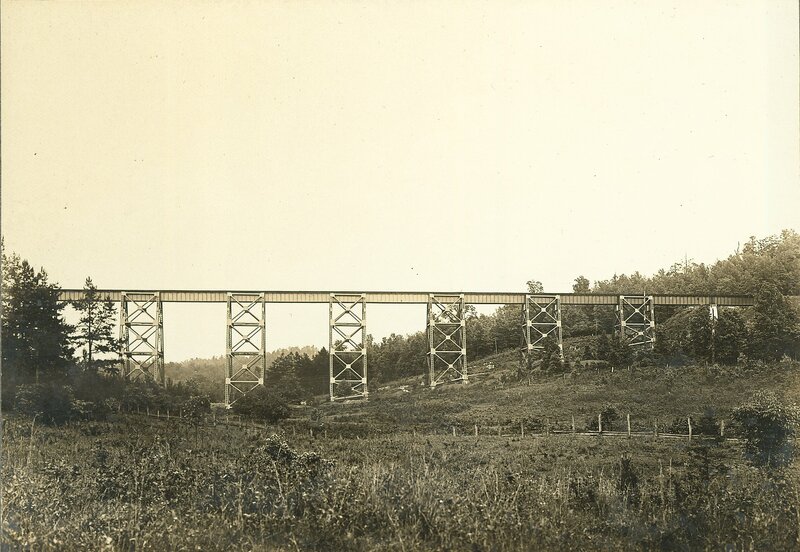 The bulk of the collection consists of images of the High Bridge Railroad Bridge. 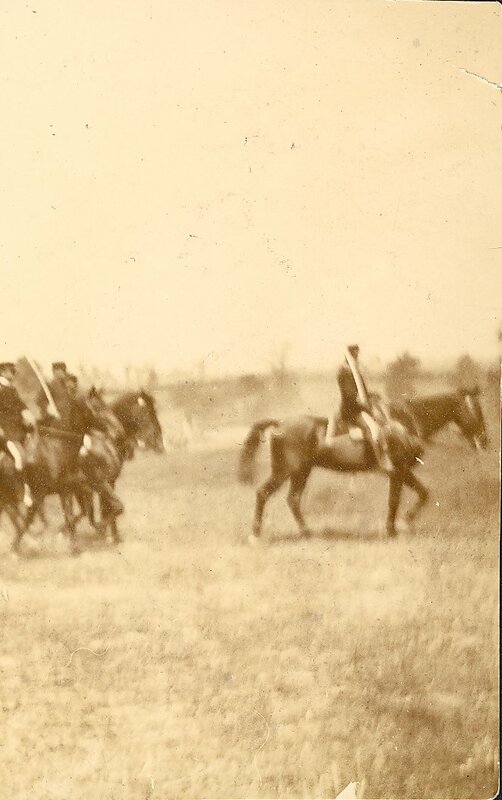 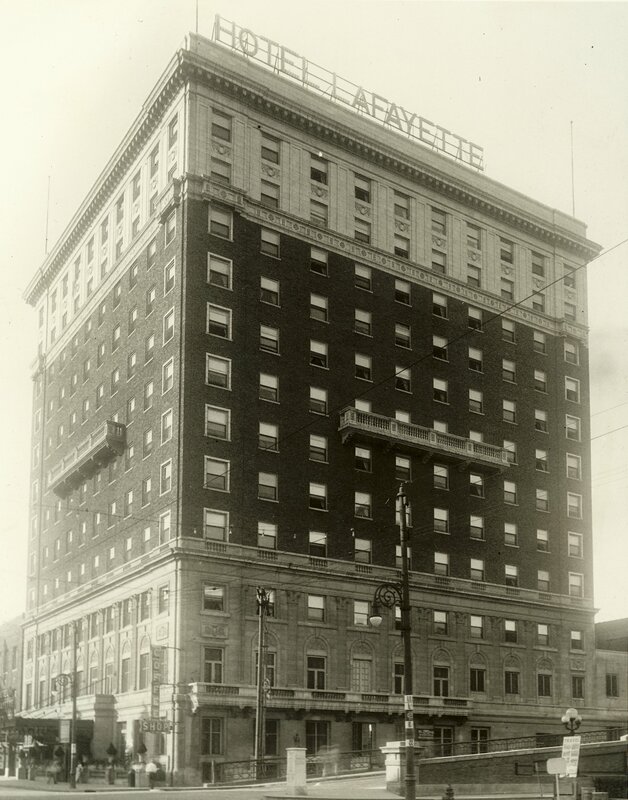 The other photographs are of various people and scenes around Lexington, Kentucky. 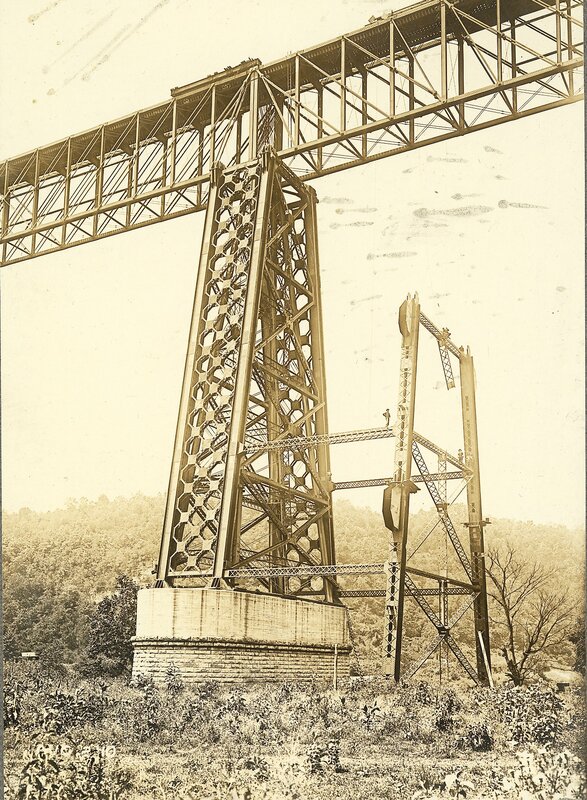 The collection is comprised of silver prints that have been mounted on backing board. 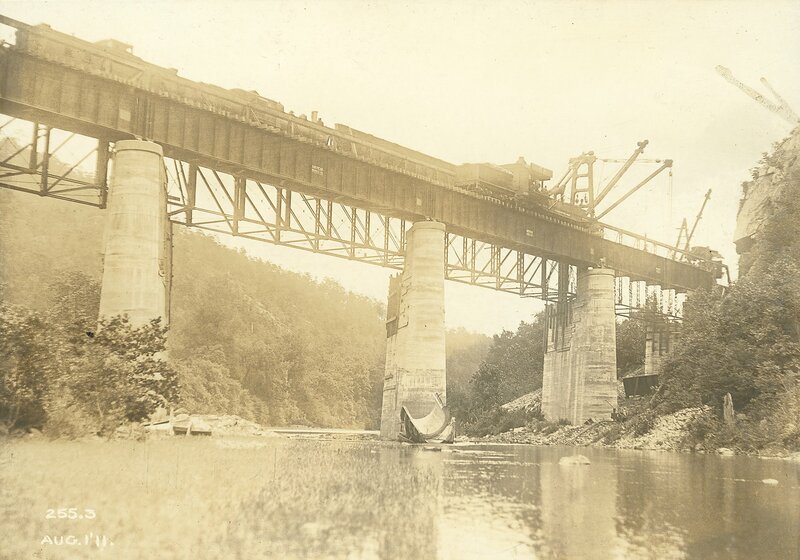 All rights to the photographs, including but not restricted to legal title, copyrights and literary property rights, have been transferred to the University of Kentucky Libraries. 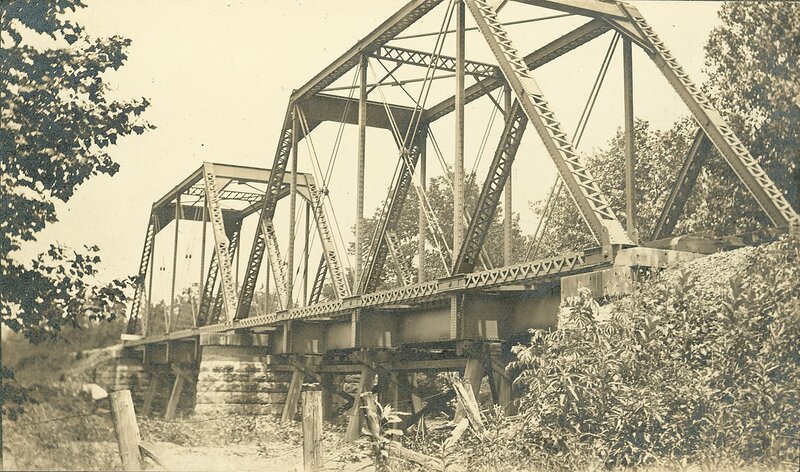 Photographs may be reproduced with permission from Audio-Visual Archives, Special Collections and Digital Programs, University of Kentucky Libraries.